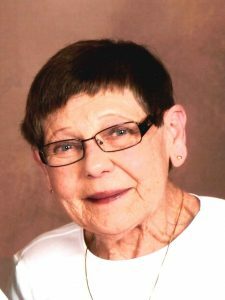 Gayle Ladehoff, 75, of Lincoln (formerly of Schuyler) died Monday, June 18, 2018, at her home in Lincoln. 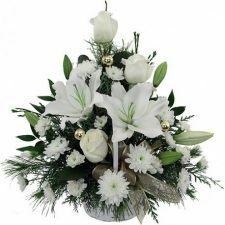 Funeral Service Friday, June 22, 2018 10:30 A.M.
Gayle Louise (Longacre) Ladehoff was born on September 5, 1942 in Columbus, Nebraska. She was the second child to Pauline (Holoubek) and Ted Longacre of Schuyler. She attended Schuyler Schools and Lincoln School of Commerce. On August 26, 1961, she married Harold R. Ladehoff. They lived in Schuyler most of their lives, moving to Lincoln in 2012, and she passed away at home in Lincoln. While living in Schuyler, the Ladehoffs operated the State Farm Insurance Agency. They were active members of the Schuyler community, including St. John’s Lutheran Church, Schuyler Chamber of Commerce, Masonic Lodge/Eastern Star and many other groups. At the time of her passing they were members of United Lutheran in Lincoln. Mrs. Ladehoff is survived by her husband of 56 years, Harold R. Ladehoff, children: Pam (Ric) Miller, Omaha; Jackie (Doug) Matthies, Lincoln; and Lori (Scott) Jenkins, Lincoln. Grandchildren include: Shelby Miller, Denver; Ryan Miller, Omaha; Sam, Thomas, and Mara Otte, Lincoln. Her surviving siblings include: Ron (Shirley) Longacre of Bellevue; Michael Longacre, Fremont; Ted (Lana) Longacre, Omaha; and Kathy (Don) Brink, Omaha, along with numerous nieces, nephews and extended family. Mrs. Ladehoff was preceded in death by her parents, Pauline Leaders and Ted Longacre; sister Linda Gilbert; parents-in-law, Ella and Rueben Ladehoff; and brother-in-law, Harlan Ladehoff.